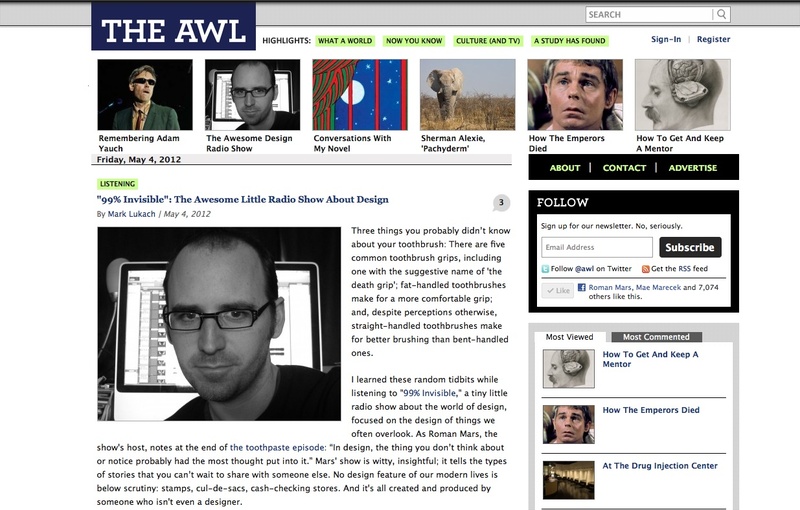 Mark Lukach wrote a very kind piece about the show for The Awl (which is a favorite site of mine). Cheers, Mark! If you have a friend who won’t listen because they still think the program is about Occupy, this might finally do the trick. Spread the word! Thanks.